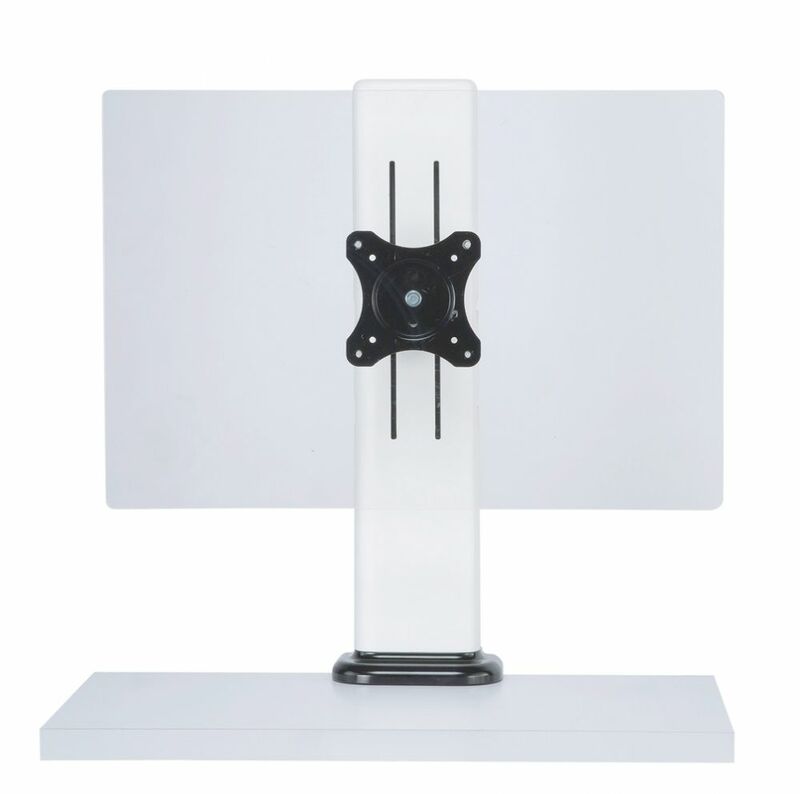 CDG's newly designed height adjustable monitor arm set renders single or dual monitors supports with a 2-toned chic look for an immediate styling up. 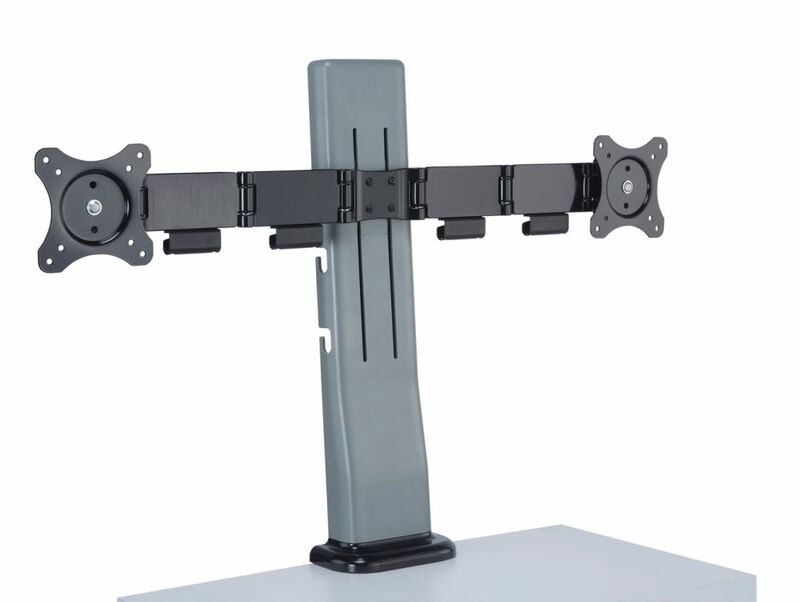 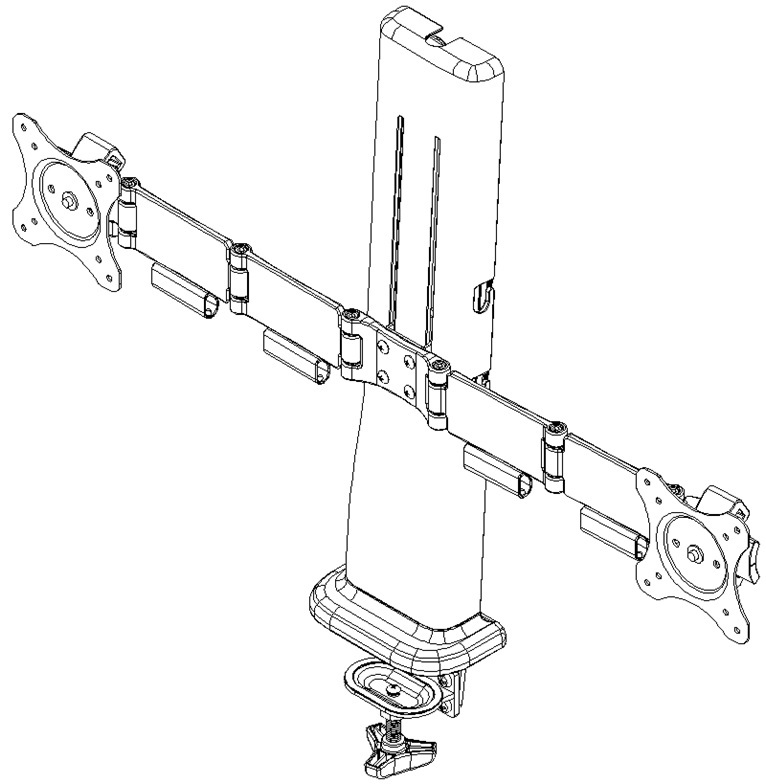 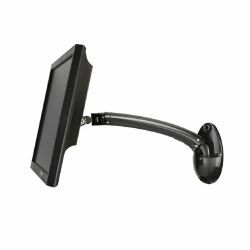 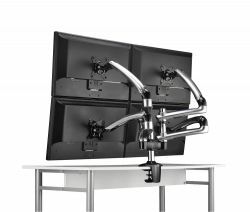 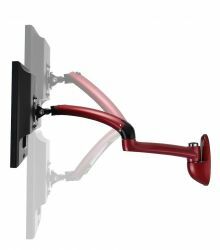 Dual monitor arms offer extensive outreach for the monitor on each end, and signified arm structure with joints details provides further flexibility for easy front, side and back accesses. 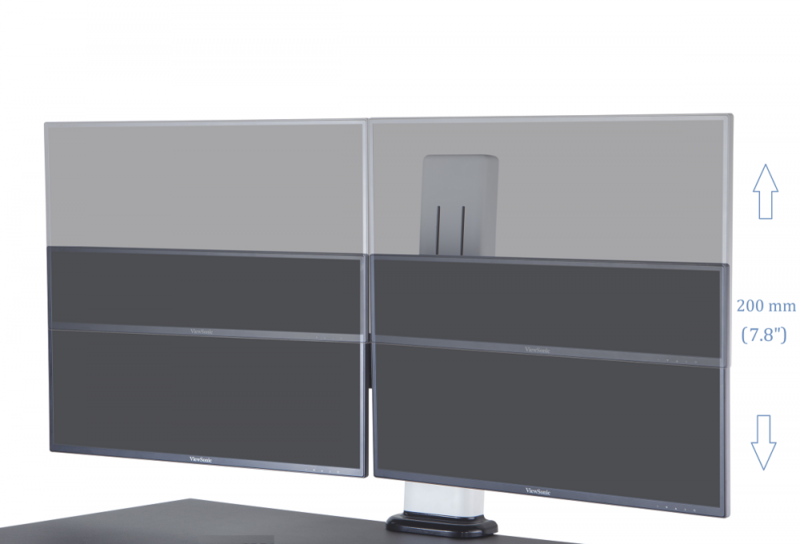 DiversityAvailable in single or dual monitor application. 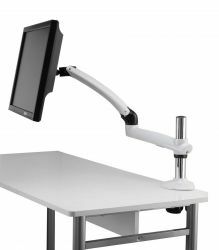 FlexibilityFlexible adjustments offered by individual monitor rotation as well as tilt moderation. 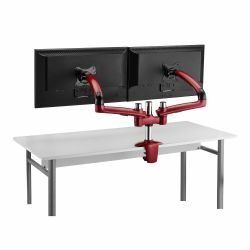 FunctionalityDual arms with joints details enable further adjustment for viewing distance and various monitor accesses from front to back. 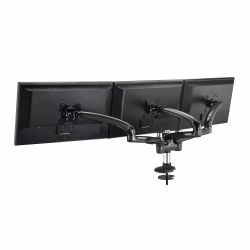 OrganizationalCable management hooks are provided along the dual monitor arm to tidy up the wiring. 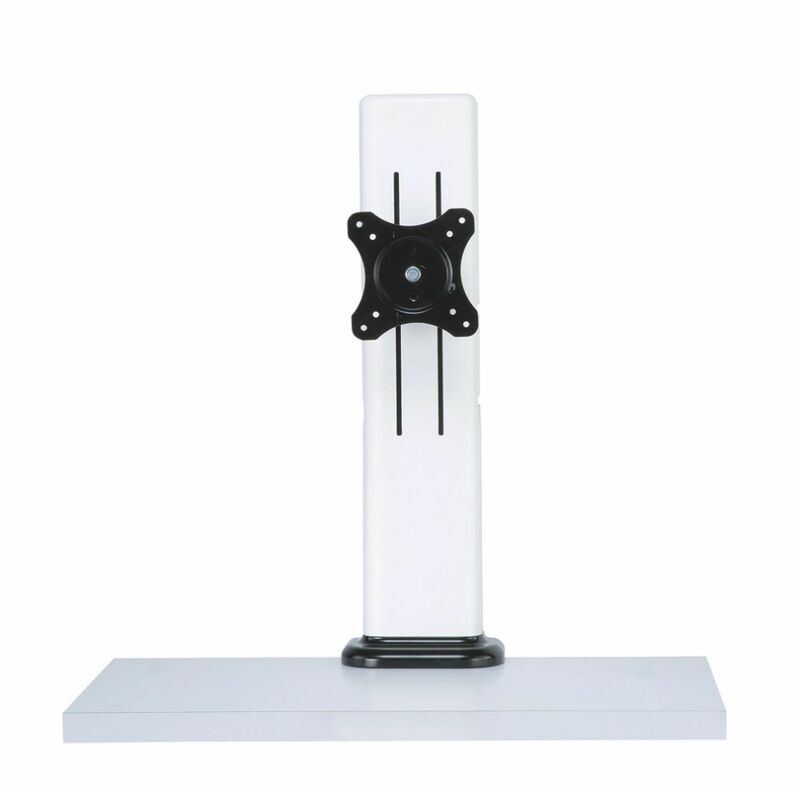 Easy InstallationEasily install or relocate in 5 mins. 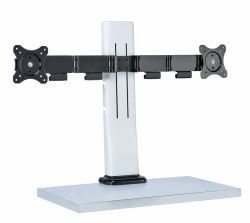 Space SavingOnly little space taken and required from the worktop for setting-up. 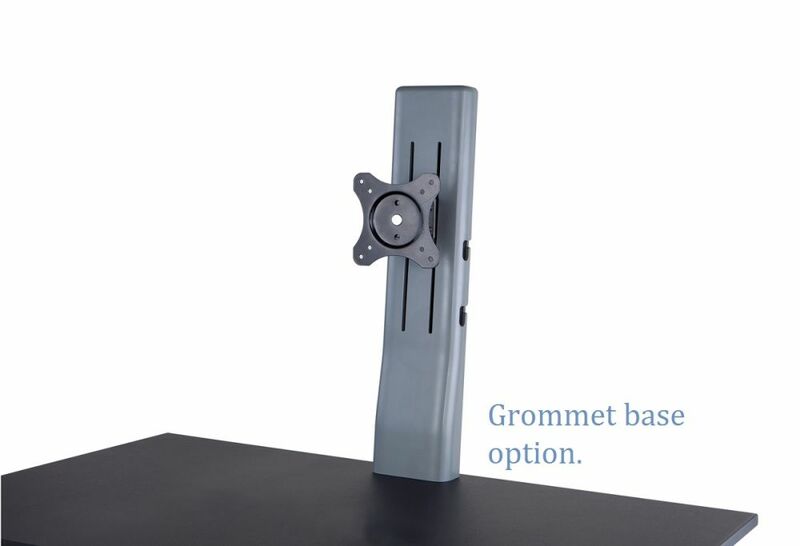 Minimum Height (from desktop) 232 mm／9.13"
Maximum Height (from desktop) 432 mm／17"
Also available in Grommet base. 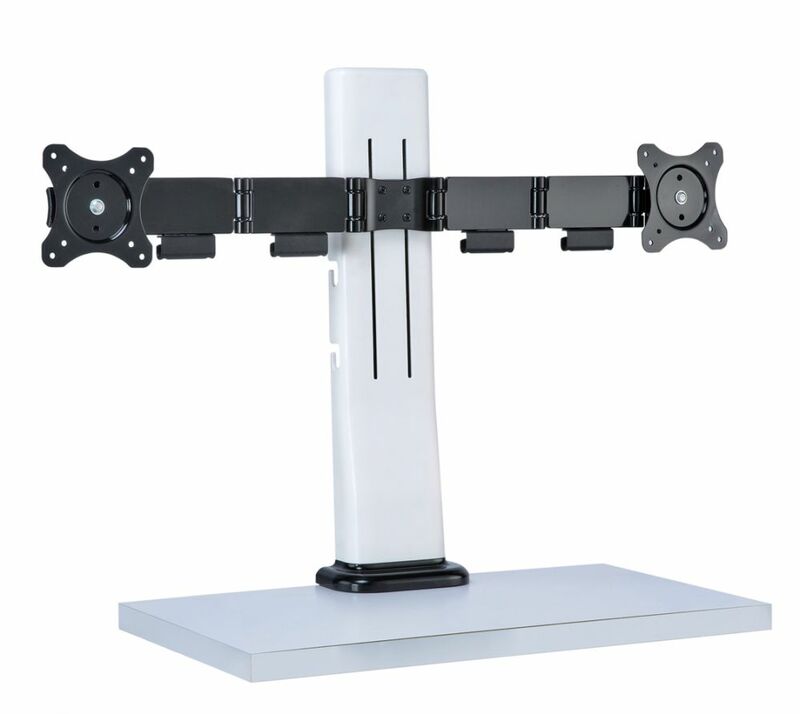 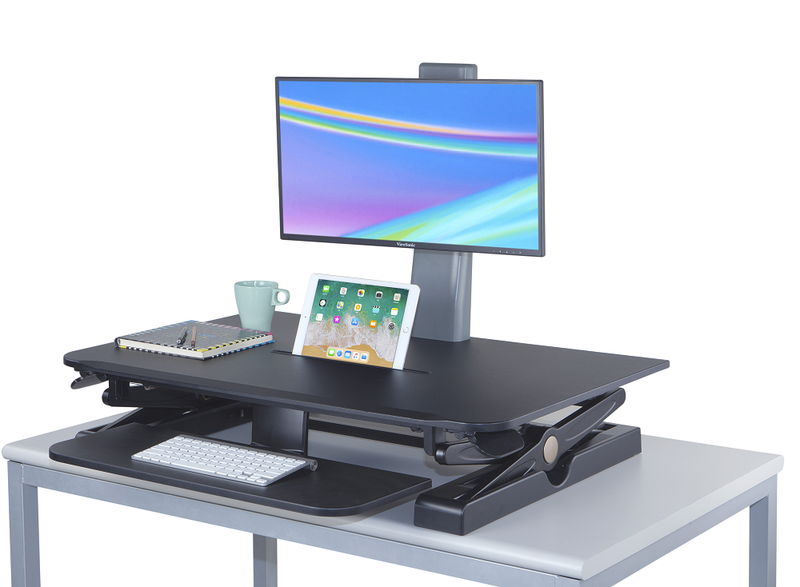 Desk Sit Stand Desk Converter Riser.